Our recently calculated need to complete an average of 4 projects per week was met with despairing results this week. The good news first-we did get one item off the list. Keith found and bought 198 feet of 3/4 ” New England anchor line off of craigslist. It was new and still on the spool for less than $1.00 a foot. It is for our third anchor. Unfortunately, we also added two items to the list-1) install a blower fan in the engine room 2) redesign the access to the electrical panel. Then, and here is where it gets ugly, the enclosure project that I started last week snowballed out of control. 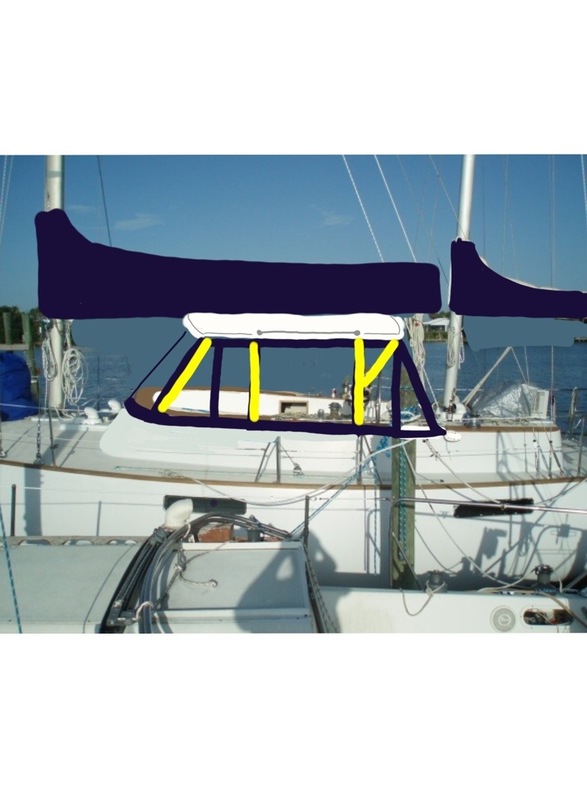 It started out as making curtains on the bimini to keep out the rain. Big project, but manageable. I began by designing where all the curtains should attach, which lead to the realization that I was going to have to do some pretty major adjustments to the dodger design. While looking at the dodger modifications, I made the very disappointing discovery that all (ALL) of the thread has disintegrated and everything has to be completely restitched. Noting that I need to redesign and restitch the dodger, I concluded that I might as well replace the faded and scratched eisenglass too. 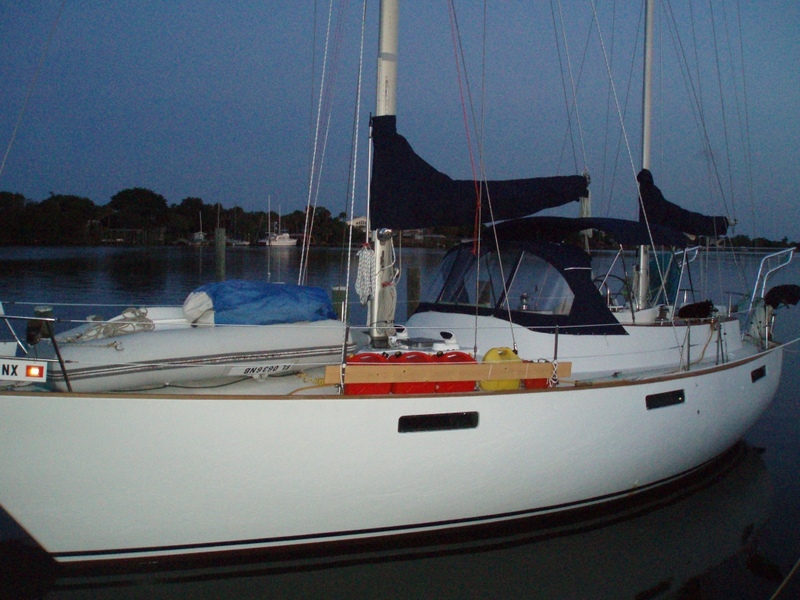 By Saturday evening the project had morphed into making a completely new bimini, dodger, and enclosure. I spent the rest of the night and Sunday making a meticulous supply list, sourcing/pricing products, and turning our one bedroom apartment into a fully functioning canvas workshop complete with three sewing machines. I was completely prepped to begin my project. Then, just as I had finished, Keith comes up to me and says “I think we should build a hard top”……….And so began the brainstorming and sketching for a hardtop project. Whichever way we go, we have added a lot of time consuming work for ourselves. My head hurts.